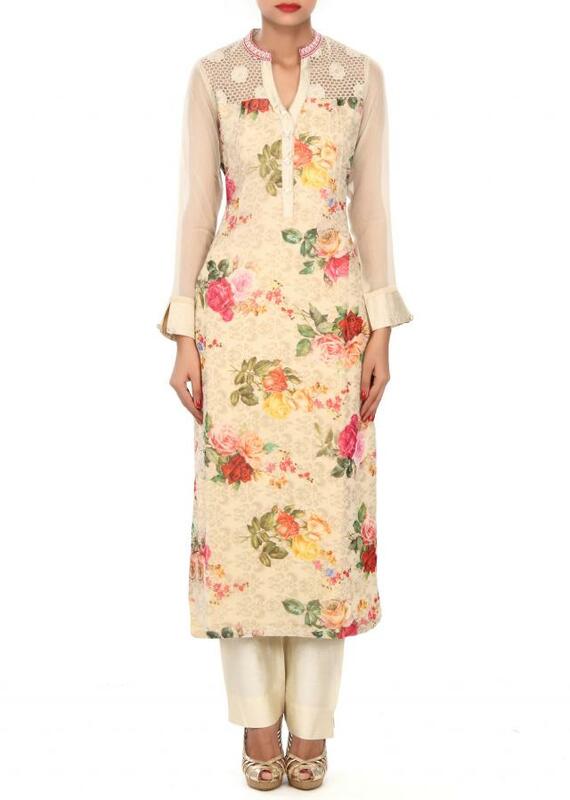 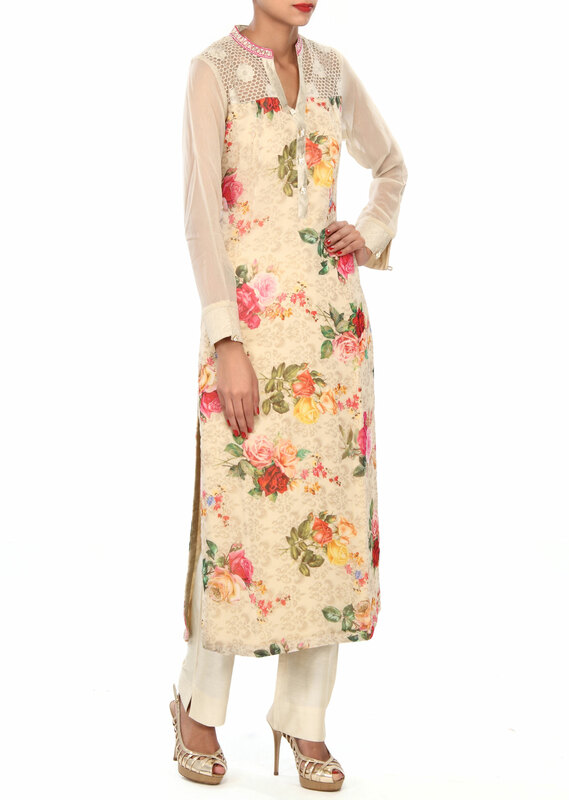 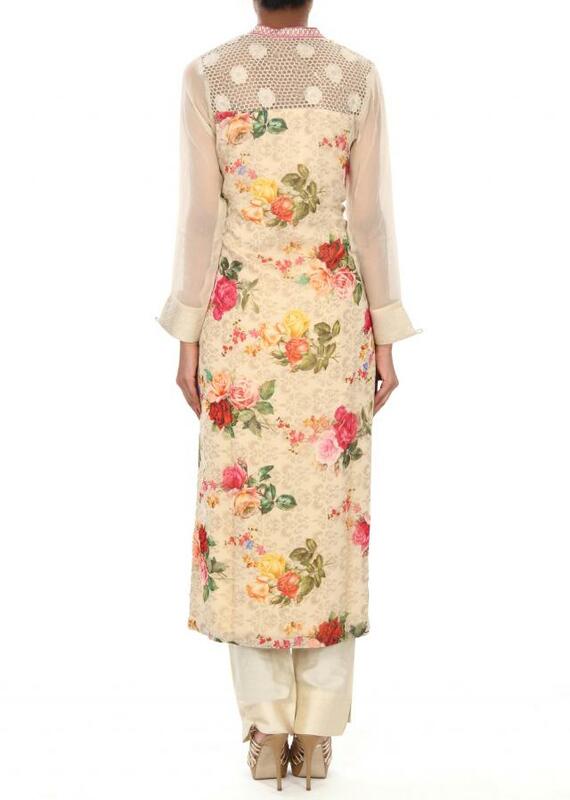 Beige straight suit featuring in printed georgette. 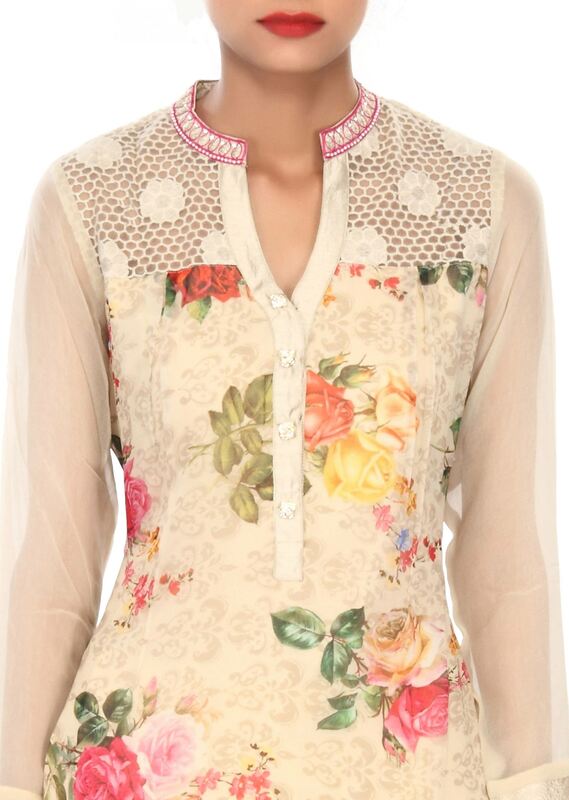 Yoke is embellished in thread work. Matched with beige silk pants.